Jesseca Can Work, Play, and Survive. Jesseca Ormond comes from the Caribbean island of Antigua and her journey to the United States has provided her with many new experiences. From the food to the way we dress, everything seems different. Food is a universal language amongst cultures and Ormond helps provide that service here on campus. She works at two venues here on campus. One is Buck’s in the basement of the student center while the other is the Spoonholder Café located in the library. Twenty hours each week she helps serve food, coffee, smoothies and more to the students and staff of Morningside College. Mary Scholl, Ormond’s boss at the Spoonholder, says that she is a hard worker with a bubbly personality that is always aiming to see everyone smile even if they aren’t stopping for coffee. Ormond does a lot more on campus than just working for Buck’s and the Spoonholder. She is an active participant in several campus groups including the campus radio station, KMSC, and Morningside Student Government. Student Advocate Alex Sullivan says Ormond is dedicated to her position as Freshman Representative and isn’t afraid to bring new ideas to the table or support existing ideas. On KMSC Ormond goes by the name King JO and hosts a couple of shows throughout the week. Her name is constantly on the sign up board for the production room and she is almost always working on something for the station. Her dedication and hard work have allowed her to get the opportunity to become a KMSC staff member in starting in the Spring Semester. 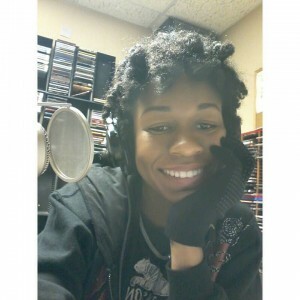 She really enjoys being on air and has fun in the station and with members of KMSC outside of the studio as well. The station is a way to free oneself from the bounds of the college campus and be heard even when no one else is around. Ormond is definitely a long ways from home. Approximately 2684 miles to be more precise. She can’t believe that people residing on the same floor of the residence hall she lives on go home every weekend. “You might as well just live at home,” she said. She understands if it is during breaks but Ormond doesn’t even get that luxury. She remains on campus as many students return home. This past Thanksgiving she went over to an African family’s home for the feast and got to enjoy singing, dancing, football (or American Rugby as she thinks it should be called) and, of course, more food than one needs to consume in one sitting. She won’t be returning to Antigua again until summer break begins. Once home, however, she said she will spend a week lying on one of Antigua’s 300+ beaches just to finish thawing out after her first Midwestern winter. Ormond finally got to experience her first snowfall recently. Then she spun and laughed, taking snapchat videos of the white crystals falling for the world to see. She was more than excited that day. Now she has realized that with snow comes ice and for her she knows that her own clumsiness literally bring about her own downfall. She says it is pretty when it falls but evil in the days that follow and doesn’t look forward to future snowfalls as much as she did before. With the snow comes cold and the Antigua native is still trying to figure out how to stay warm. Ormond has been wearing a jacket since early October and the layers continue to stack up as it gets colder. When we spoke Ormond was wearing three long sleeve layers, all rather warm layers, while I dressed in just a sweatshirt. She told me I was crazy, along with all the students on campus she’s seen in shorts, and can’t fathom how I can be warm with hardly any form of winter gear. I just said it’s the Minnesotan in me. She commented on how “you can’t be warm and fashionable” during winter. At least she has realized that in winter nobody care what you look like because we all are just trying to stay warm. She knows she isn’t the worst at handling the cold as some students from other warm climates have bundled up tighter. Ormond has integrated herself into campus life here at Morningside even if she is a long way from home. Her first semester is almost over and she’s keeping a positive outlook while giving the same sigh of relief many students have as each class ends. She’s made a few friends that have survive her transition to life here in Iowa and the twenty two year old freshman is ready for the adventure even if that means sun, rain, or snow (even if it all happens on the same day).